"To celebrate our love of all things coffee related we are releasing this very special and very limited collection, comprising of socks, espresso cup and our own blend of coffee beans." Since becoming a member of Sock Club London I've more or less stuck to the rules however my desire to reach #sockgame levels for whatever reason had subsided. That is until I received today's members newsletter. The creativity and dedication shown by founding members 001 and 002 to bring us something especial and exclusive continues with the latest offering, the Coffee Pack. In accordance with Rule #1, first up are the socks. 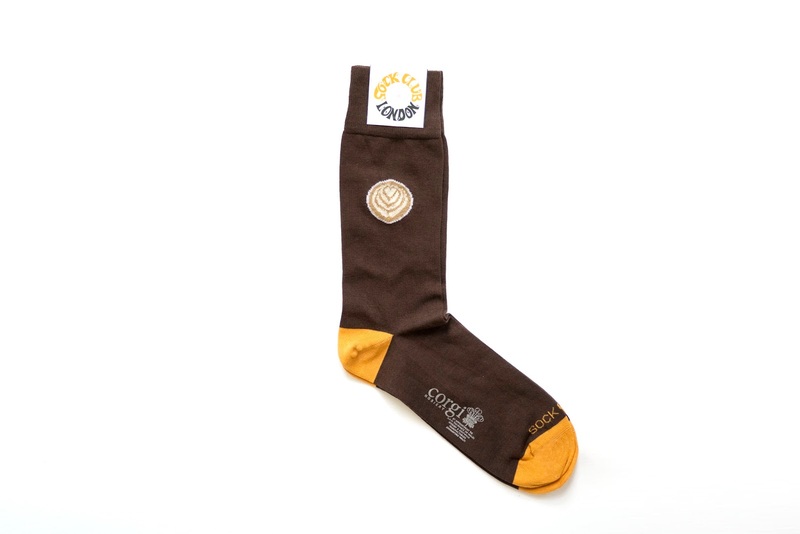 Made by Corgi Hosiery and available in black and coffee bean brown, the socks feature a woven coffee motif detail. "Inspired by the free pour art applied on lattes and flat whites (as seen at your trusty local artisan café) we have applied our version woven into the outside of both socks. Especially handy for that close up Instagram shot of #coffeensneakers that you may be partial to." Next up is a classic espresso style cup specifically sourced and made for the enjoyment of coffee. Sock Club London's inaugural drinking vessel, and let's be honest it's about time. "To ensure your breakfast or coffee club colleagues will see you are a person of fine taste, we have also printed our SCL circular logo on one side. On the other side we have printed our Club Motto; ‘No Apologies, No Regrets’. 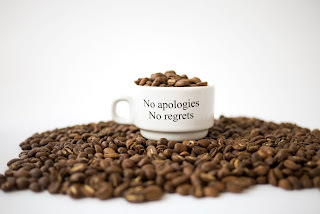 Well, drinking coffee should be fun too." Finishing the Coffee Pack is Sock Club London's very own blend of coffee beans. To my knowledge this is the first partnership of it's kind. 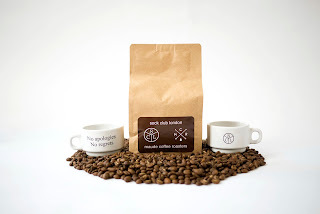 Made in collaboration with Maude Coffee Roasters from Leeds this for me is the piece de resistance of the collection. 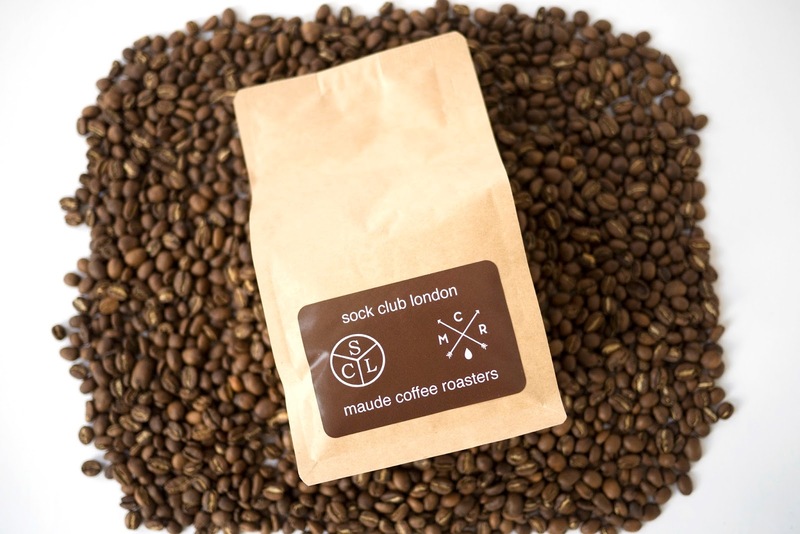 "If there’s one thing at Sock Club London HQ that we like almost as much as socks (we did say almost) it’s coffee. It’s this amazing liquid that keeps us fuelled whilst we’re packing orders, dreaming up the next collaboration; or more than likely whilst we’re spending far too much time on Instagram." The beans are sourced from the Altamira Estate which has an exceptional environment that produces the highest quality bourbon coffee. More info on the estate in El Salvador can be found HERE. Brought to you by cultured persons of impeccable taste, I can't think of a more earnest way to start the day. The socks, cup and coffee beans can be bought separately or better yet as a complete Coffee Collection via the Sock Club London web store on Friday 15th July. Despite the current unknown post-Brexit economic times, the complete collectors’ edition is keenly priced. The products will be available in very limited numbers so set your alarm and don't miss out. "A great treat for yourself, or gift for that sock and coffee aficionado friend or relative." Quotes and photos via Sock Club London.